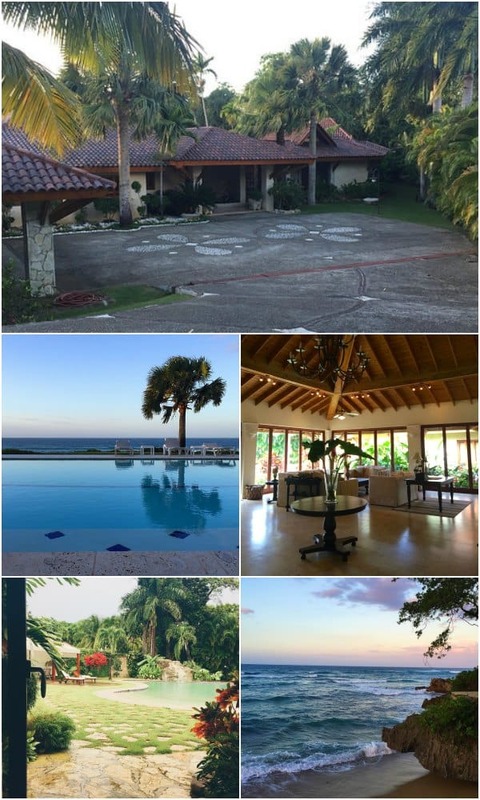 Last Thursday, I was lucky enough to hop on a plane and escape the miserable cold and snow in NY for Puerto Plata, Dominican Republic. It was a press trip on behalf of the Ministry of Tourism for the north coast and all about how there are plenty of active and fun things to do on vacation while in the Dominican Republic, you don’t have to sit on a chair at the beach or pool drinking overly sweet pina coladas if that’s not your thing because surfing, ziplining, monkey jungles and waterfall repelling, to name a few, are all right there at your finger tips. 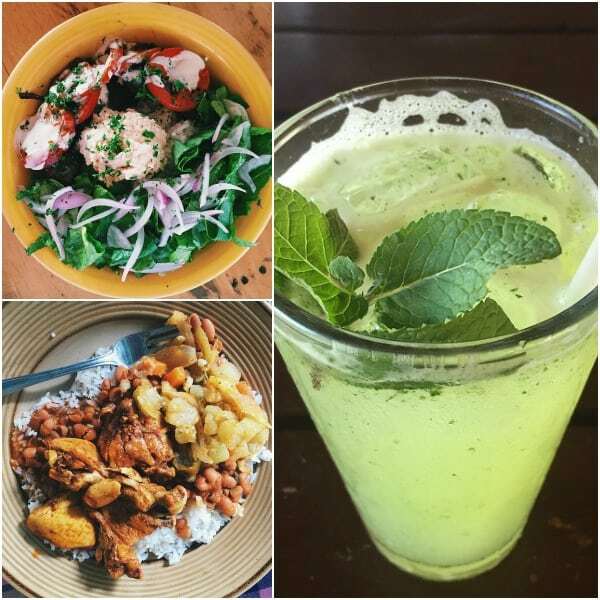 More on ALL those things in the next post but first up, what we ate (because the DR has some amazing food) and where we stayed. 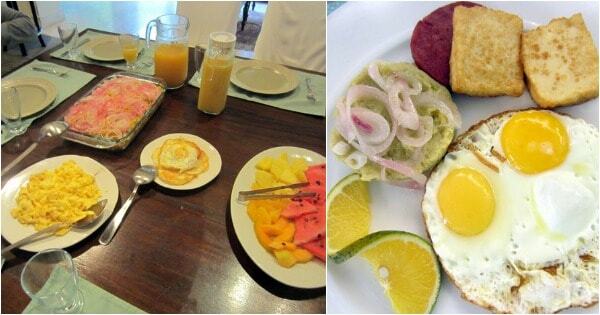 Two breakfasts stick out in particular, the Dominican breakfast at Casa Colonial, our first hotel stay and the authentic mangu with fresh fruit and fried eggs that was prepared for us in one of the villas at Sea Horse Ranch. The breakfast at Casa Colonial came with a view of the ocean and our first taste of mangu, a traditional mashed plantain dish. Accompanied with the fried eggs, fried cheese, bread basket and papaya/pineapple plate, it was really the perfect start to the day. The mangu prepared for us at Sea Horse Ranch, however, was even better. No matter how good of a restaurant, it’s hard to beat homemade. The mashed plantains are topped with onions that have been cooked in vinegar and that tartness is perfect against the savory plantain mash. Its filling and kept me full for a good 5 hours while we ziplined our way through trees and let monkeys crawl on our heads (so freaky!). 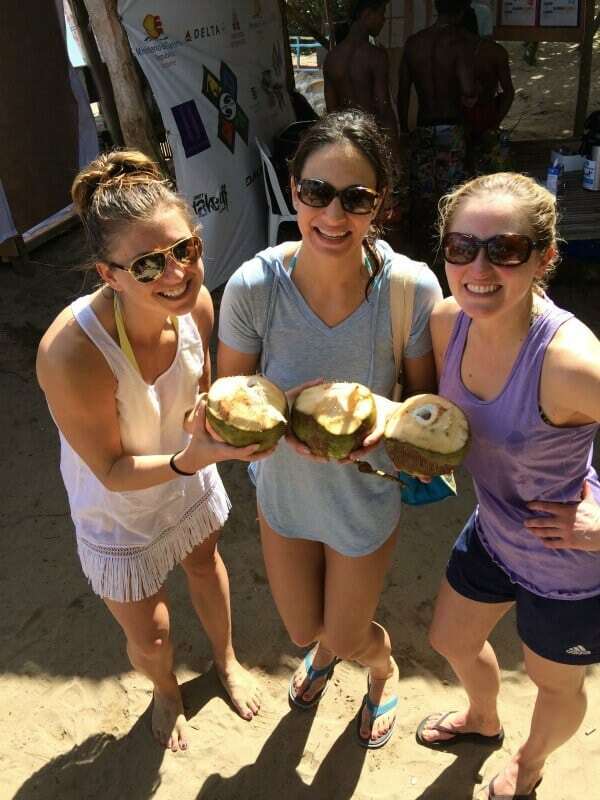 No trip to the Caribbean would be complete without coconut water from a coconut. Sarah, Anne and I made sure we had them hack it open after we drank it too so we could eat the coconut flesh from the inside. You haven’t had coconut until you’ve eaten the wet flesh (that might be the grossest phrase I’ve ever written) straight from the inside of a young coconut. It’s soft and mild and just absolutely delicious. Plus, a way tastier hydration option than Gatorade. 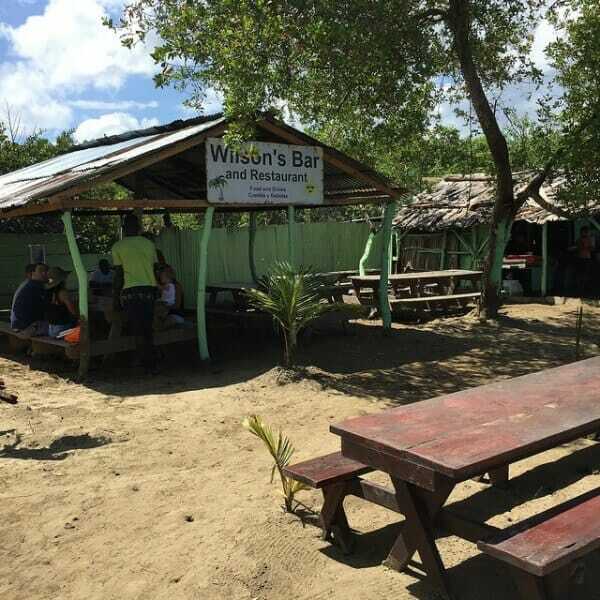 After surfing and coconuts, we headed to lunch at Wilson’s Bar and Restaurant which required a 30 minute boat ride to basically a shack (literally, the building was washed out by recent floods and already rebuilt a few feet from it’s original location) right at the mouth of the river with kite-surfers in the background. If there was only one place to recommend in regards to food, Wilson’s would be it. 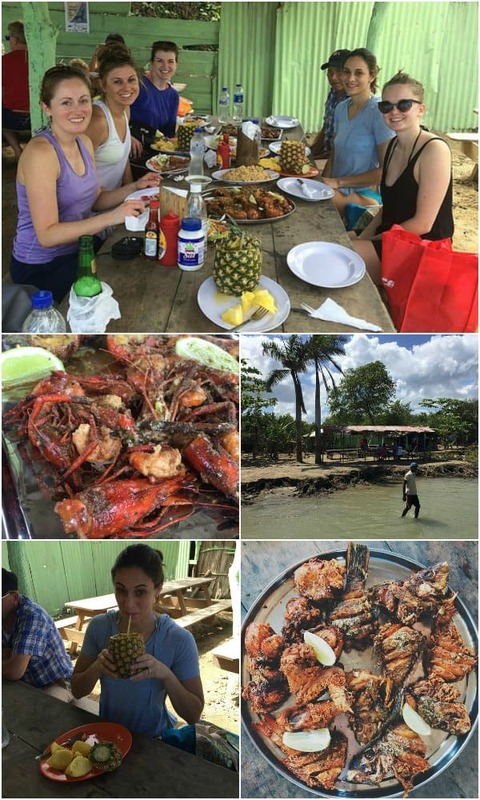 We feasted on lobster, langostinos, shrimp, fried chicken, fried fish (I was a baby and didn’t eat the half with the head, fish eyes freak me out), rice and salad. The pineapple boat pina colada was also the best drink I had all trip. You can bet I spent about 20 minutes digging out the pineapple insides after finishing the drink. Fresh Fresh Cafe was recommended to us on our first night when we actually ate at the beach side restaurant on Sea Horse Ranch and found out the owner had 2 locations for this cafe. The food sounded right up our alley (smoothies, detox juices, power bowls, wraps, healthy desserts, etc.) and my coconut water banana smoothie, Mediterranean beef bowl and coconut brownie did not disappoint! Plus, the fact that it was 3pm and we were all at the point of hangry-ness aided in our attacking the food. Other lunches included a detox lime cucumber water and plantain Shepard’s pie from Casa Mami at the Extreme Hotel where we spent the day on the trapeze as well as doing an intense 30 minute CrossFit workout and a traditional chicken stew with rice and beans cooked for us on site by a Dominican family after our adventures cliff jumping, waterfall repelling and swimming with Iguana Mama. 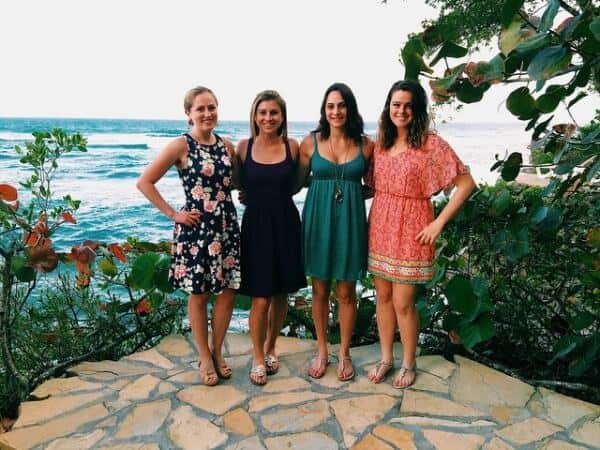 One area I wish we had more time to explore was downtown Cabarete. 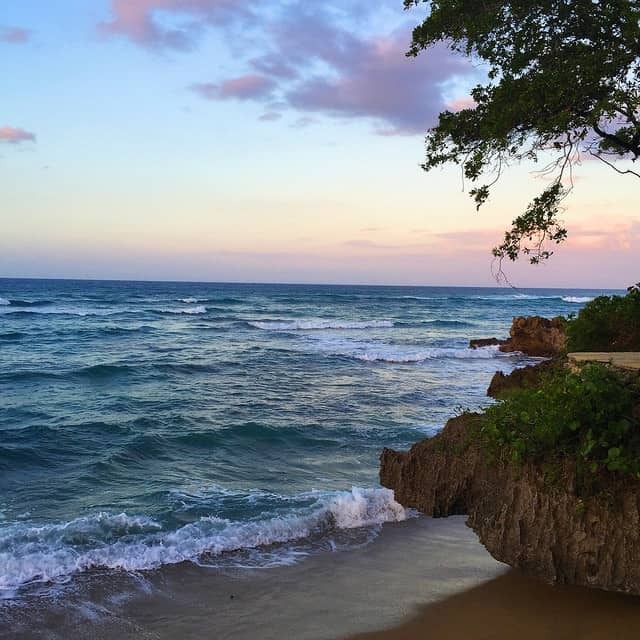 We spent one dinner on the beach here at La Casita de Papi. 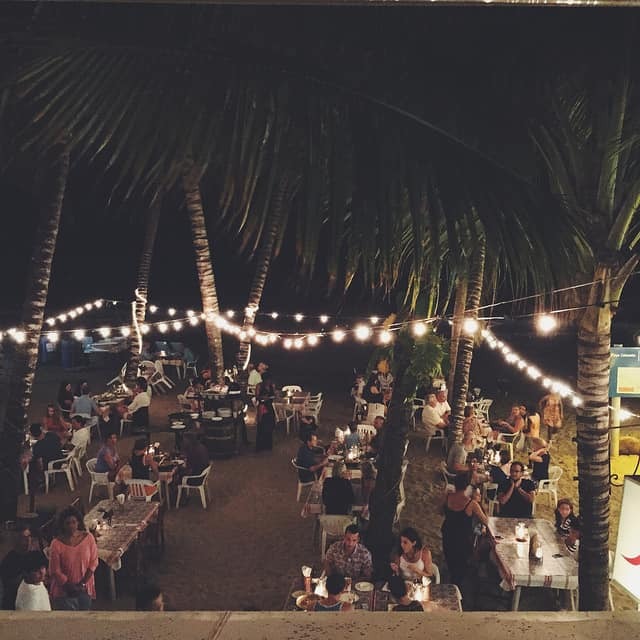 With lights streamed from palm trees and sand between our toes, the food probably could’ve been horrible and it wouldn’t have mattered, but it wasn’t. 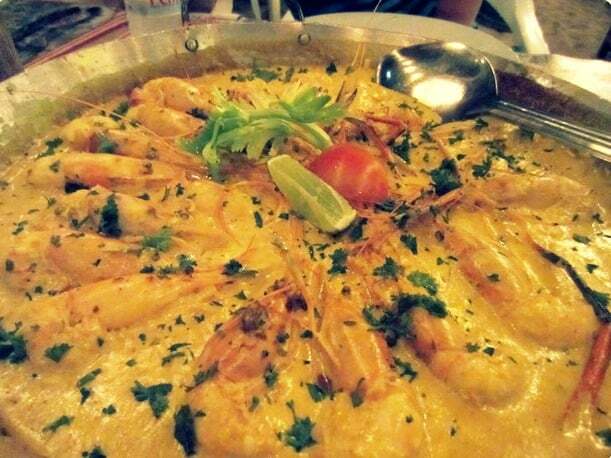 We ordered a family style shrimp and lobster dish that came out in huge skillets in their famous sauce. Delicious doesn’t do it justice. I wanted an entire loaf of bread to sop up that sauce. Sea Horse Ranch deserves its own little shout out because this place is amazing. We had 2 great dinners here which I sadly have no pictures of since it was so dark. It’s basically like a millionaire’s version of a gated community. There are custom built villas that are flanked by an equestrian center on one side and the beach on the other. Cove beaches and infinity swimming pools are the norm and if you’re lucky enough to be able to afford the $1,000+/night price tag you get to enjoy all those things. While I’d never be able to stay at a place like this on my own, we had a (fortunate) glitch in our itinerary one night and ended up staying in this villa for one night in between hotels. You can bet we spent a good hour in that pool until our hands were wrinkled to death despite it raining on our heads just to take advantage of it. I’ll be back with details on all our adventure trips during the day. I’ve never had such a fun active trip before, can’t wait to share it with you! *This trip was sponsored by the Ministry of Tourism who I owe a BIG thank you for inviting me along! Taralynn McNitt was there too! Love her. WOW! So much great food in such a beautiful setting! What a fabulous trip you had!